The amount of cocaine seized in Spain more than doubled in 2017 over the previous year. Authorities seized 32 tonnes of cocaine last year up from 15 tonnes in 2016. 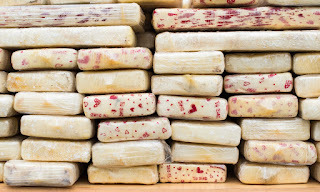 Drugs traffickers have been forced to open new routes to bring drugs into Europe through Belgium and the Netherlands. 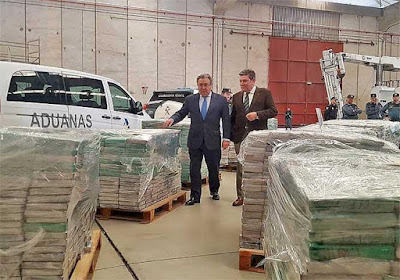 Spain made a huge cocaine bust in November when 5.8 tonnes of the drug were discovered on a container ship in the port of Algeciras. The ship was supposedly carrying bananas. The cocaine from that one haul had a street value of around €210 million. Former CIA agents have reportedly found one of drug kingpin Pablo Escobar's cocaine smuggling submarines. Escobar used submarines to transport cocaine from Colombia to Puerto Rico, after which it would be transported to the US mainland. If the submarine is found, it could contain clues which may finally reveal the location of Escobar's rumoured £50bn hidden fortune.